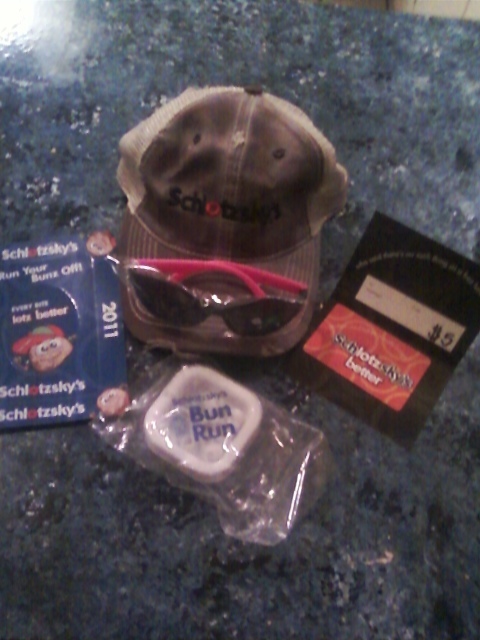 Schlotzsky's Review & #Giveaway CLOSED!! I love a good sandwich! Especially during these hot summer months. One place that we love to go to get a really great sandwich is Schlotzsky’s. From the menu selection on the great sandwiches to the different delicious types of breads you can choose from, Schlotzsky’s is sure to have the sandwich to satisfy your sandwich craving needs. One of our favorites is the Albuquerque Turkey. The turkey is so juicy and tastes so fresh. This amazing favorite of ours comes with smoked turkey breast and bacon strips with cheddar, mozzarella, and parmesan cheeses layered with fire-roasted vegetables, chipotle mayonnaise, shredded lettuce, tomato and our signature dressing on toasted Jalapeno Cheese bread. And yes it tastes just as great as it sounds!! For those who find that the Jalepeno Cheese bread may be too hot, you can choose from any of the other bread choices that are available. Then I do have those days when I crave something toasted. And one of my favorite toasted sandwiches is the Chicken Breast. The Chicken Breast comes with roasted chicken breast and a very yummy fat free spicy ranch dressing that is just so mouth watering, I am craving it just thinking about it!! I also love that Schlotzsky’s has a great kids menu that my kids just love!! Well to help you with your Schlotzky’s craving, the wonderful people from Schlotzky’s would like to give one of my amazing readers a gift card along with some really great gifts!!! Tell me what your favorite sandwich is from Schlotzsky’s, leave me your email with this entry!! Next Post Visit Virginia Beach This Summer!! The last time I was there I had some sort of Italian sandwich. I loved it. Can't remember the full name though. But now I want to try the buffalo chicken! The buffalo chicken sounds super yummy. Email in profile. it's been awhile since I had a sandwich from Schlotzkys. I think I had the Smoked Turkey Breast Sandwich, so that's my favorite sandwich. 🙂 Thanks!! Hi! Visiting you from Frugal Follies. (: I'm with you on the Albuguergue Turkey – it's my fav. I think they have good chips, too. There's a shop close to my house and I love going there for lunch! i 'like' Schlotzsky's on FB! Love the buffalo chicken with all the works!